Fancy hiring one of London’s leading studio theatres, with a national reputation and an unbeatable Zone 1 location? 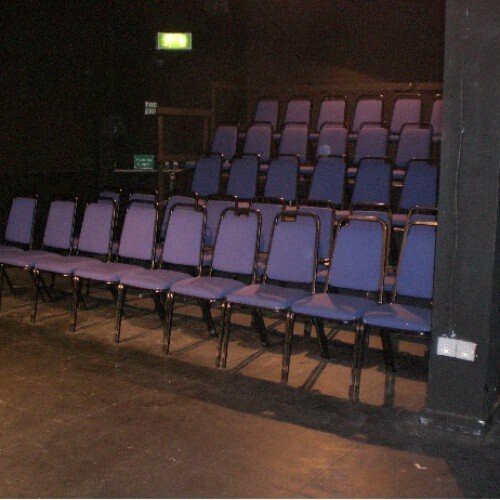 You’ve come to the right place… Whether it’s a public performance, a workshop, a corporate event or a meeting, we can help with an (up-to) 60-seat black-box, fully technically equipped studio theatre, a basement rehearsal space, and a licensed bar/cafe. 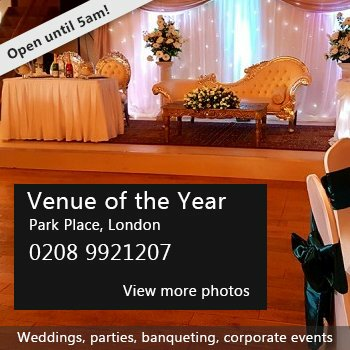 We hire out these spaces at very affordable rates. Hirers benefit not only from use of the space; we also provide Front of House staff for public events to ensure everything runs smoothly, a technician for your get-in, our cutting edge box office system which can, at your request, generate regular sales updates automatically, and we’ll feature your event on our website, visited by 55,000 unique users annually. 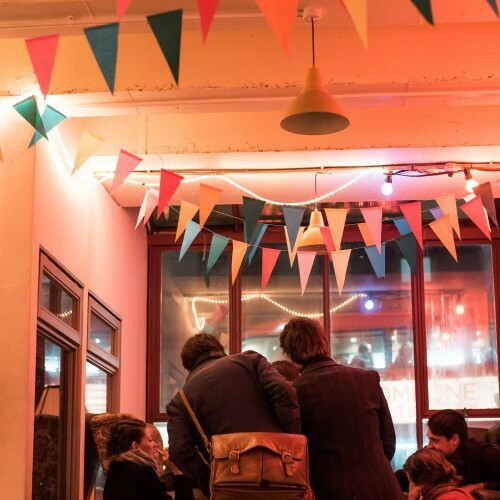 Our fully licensed, atmospheric bar stays open until 11pm – perfect for those post-show catch ups, and we can also arrange technical support to operate the show for a small additional cost. We’re located a stone’s throw from Oxford Circus, and the theatre is well served by Warren St and Euston underground stations, only 2 minutes away on either side. We’re just off Euston Rd at the top of Tottenham Court Rd, and are easily accessible from anywhere in London. It’s always worth contacting us, even at the last minute, if you’re looking for somewhere to perform your show, to rehearse, or to hold workshops, classes or meetings. We can’t wait to help you bring your project to life! To enquire about our availability and to get a quote, please email Anna (anna@cptheatre.co.uk). There have been 0 reviews of Camden People's Theatre . If you would like to send Camden People's Theatre a booking enquiry, please fill in the form below and click 'send'. Perhaps some of the following halls within 5 miles of Camden People's Theatre would also be of interest?